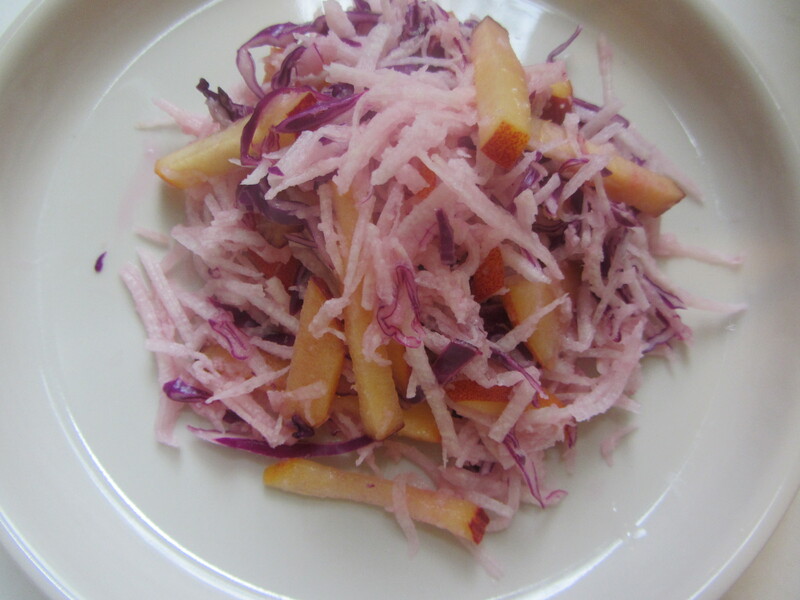 Jicama (“hi‘ ka ma”) is a crispy, sweet tuber cultivated in South America. 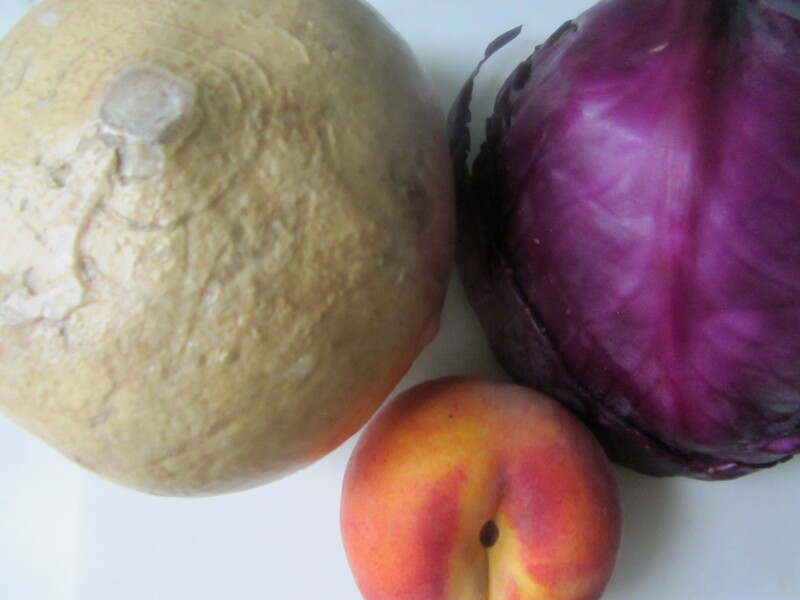 Low in calories, it is rich in Vitamin C, magnesium, copper, iron and manganese, and inulin so good for diabetics. 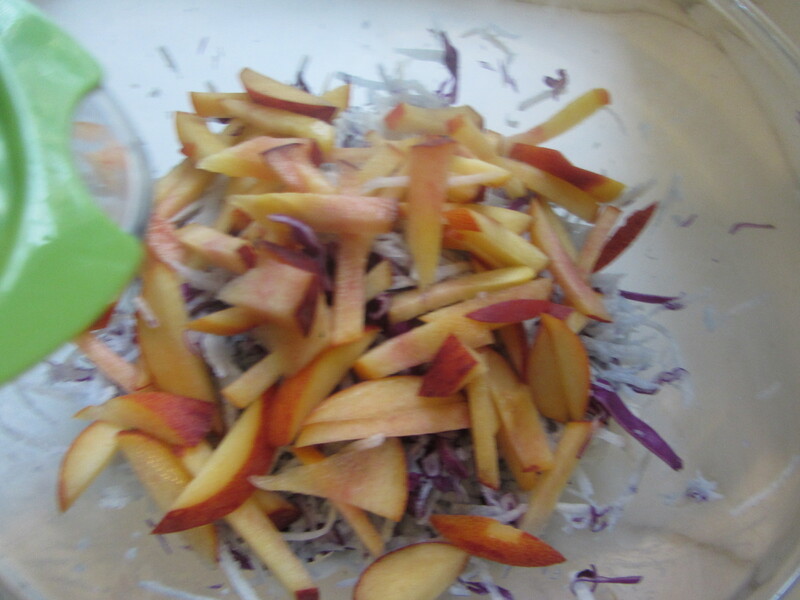 Paired with shredded red cabbage and juicy peaches, this is a refreshing breakfast salad. 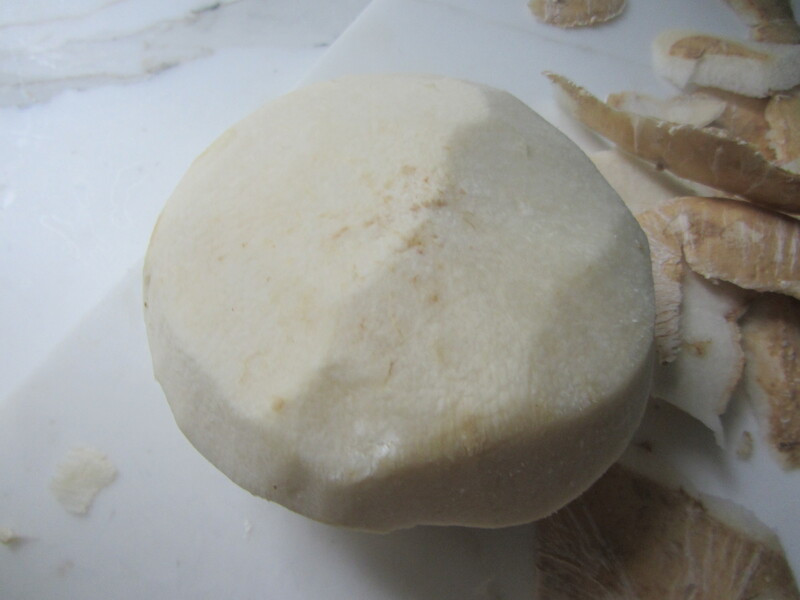 Process Use a paring knife or peeler to remove the tough outer skin of the jicama. 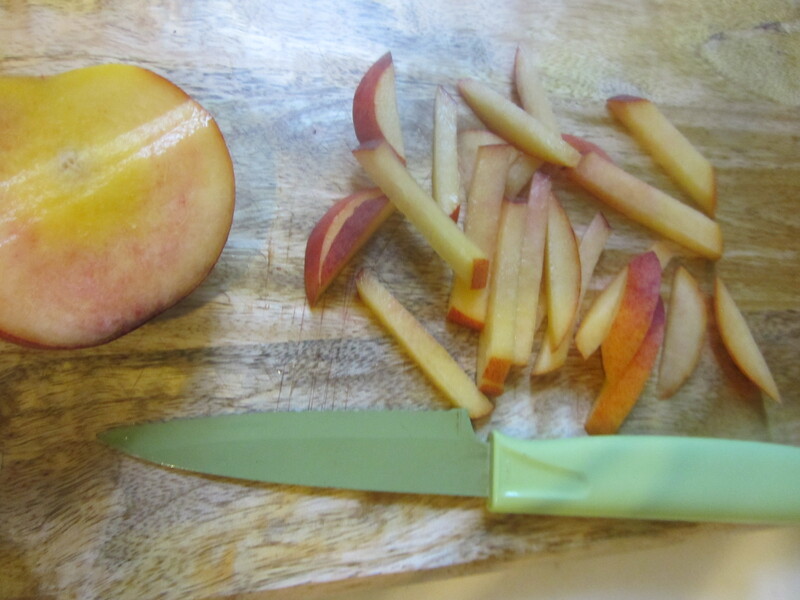 Use a julienne peeler to julienne the flesh of the jicama. 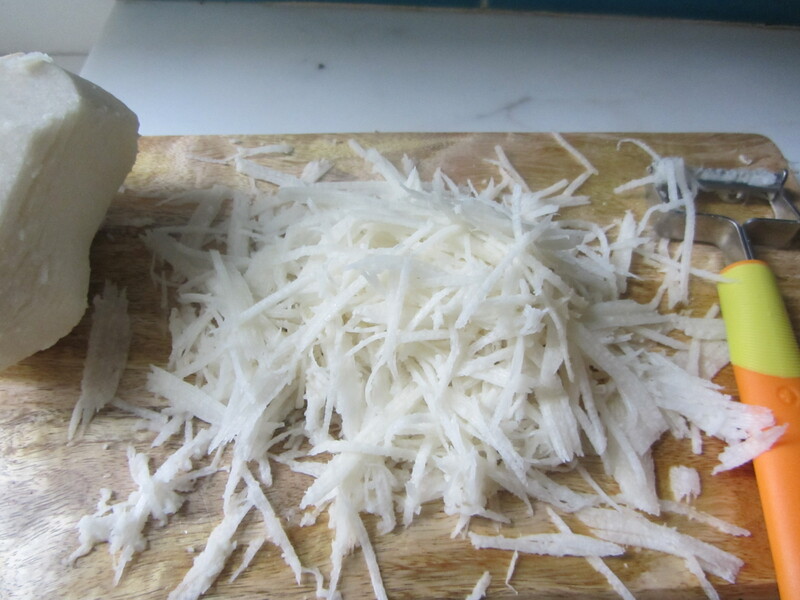 Place the shredded jicama in a medium-sized glass or ceramic bowl. 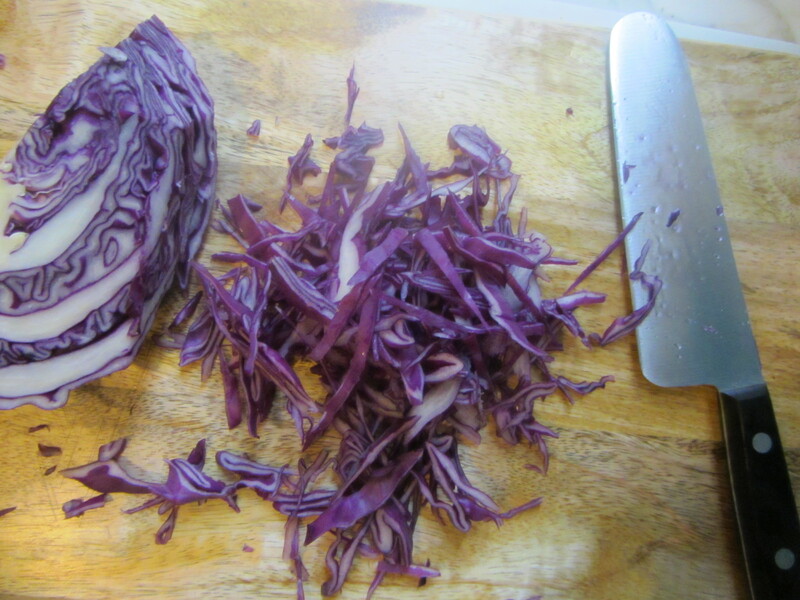 Use a Japanese vegetable knife to shred the cabbage into pieces the same thickness and length as the jicama. 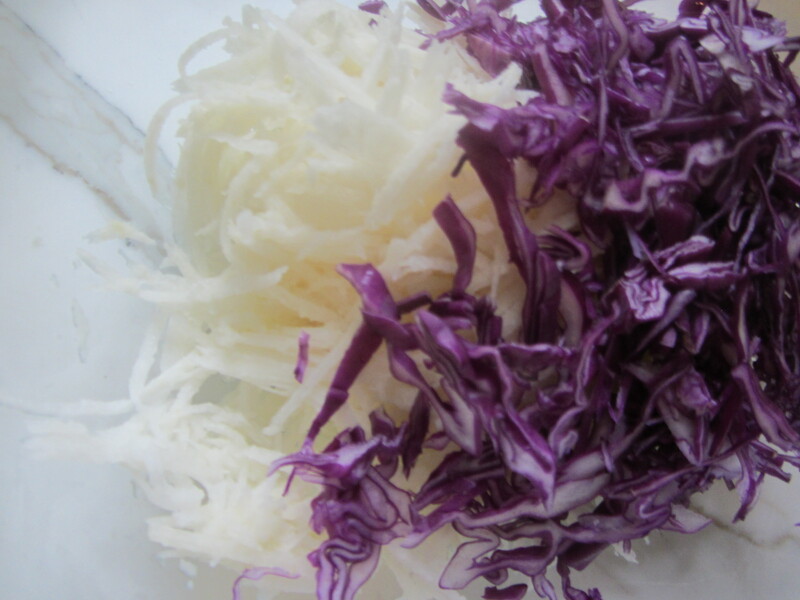 Add the shredded cabbage to the bowl of jicama. 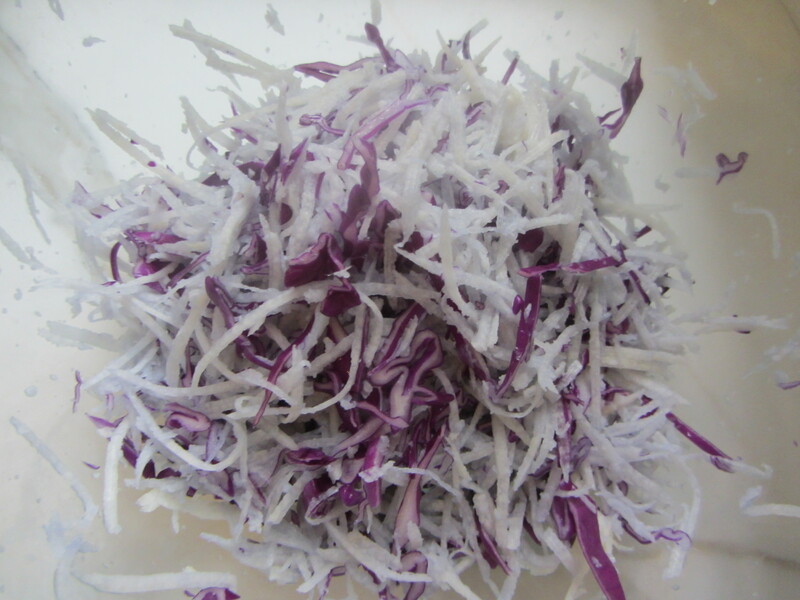 Sprinkle with sea salt and use your hands to mix the jicama and cabbage together, separating each strand and massaging the them. and add to the salad. Squeeze the lemon and drizzle the juice on top. Arrange the salad on individual plates and serve.